In the next chapter of our Ladakh series, Thomas Morf and the Nirvana Nomads venture further into a remote Himalayan region. 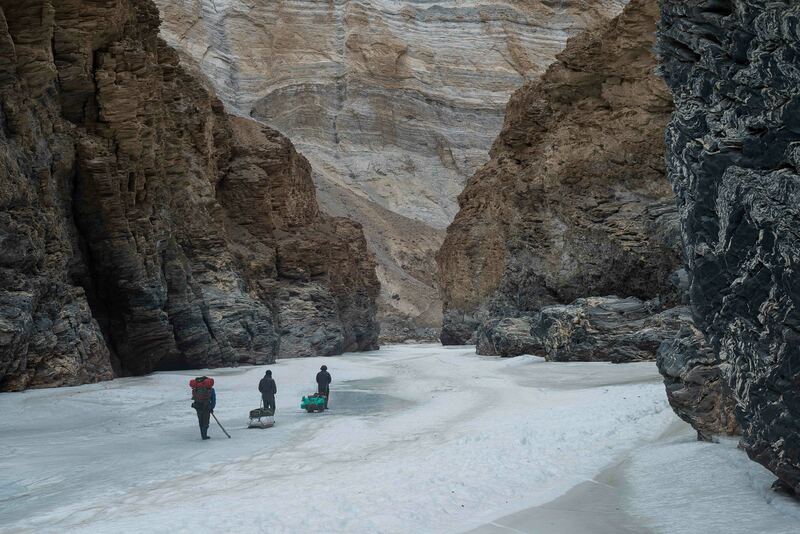 They enter a frozen valley and journey to the isolated village of Zanskar. This small mountain community is cut-off by the onset of winter, only accessible via a frozen river. 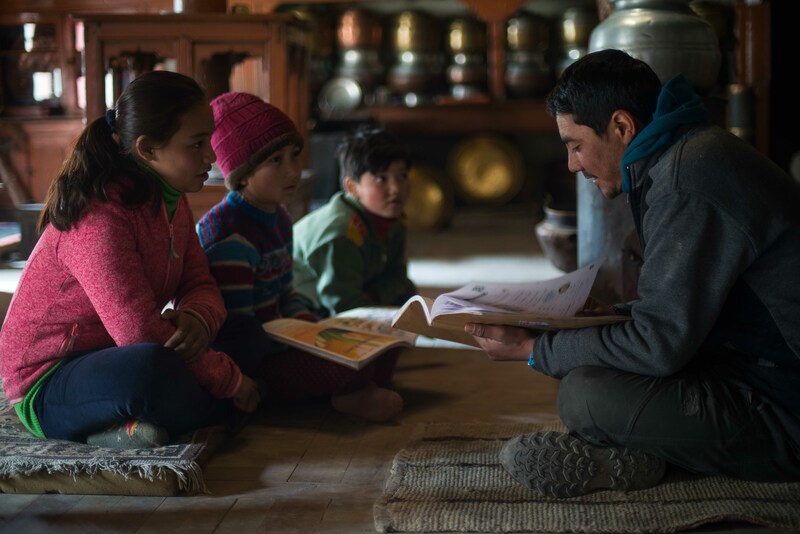 Our team meet up with Lhakpel (a local of Zanskar) and discover what it was like to grow up in this beautiful, but harsh landscape. We arrive at the end of another road, where access to vehicles is no more. The path continues onwards on-foot, and not along a paved trail. Instead, we find an ever-changing and shifting path of ice. A frozen river is what we would be traveling across. We are met here by Lhakpel, a man who has grown up crossing this frozen path. He seems very aware of the dangers that lie ahead for us. Our Bivouac 9000 read an altitude of 3700 meters, the height of many peaks in the European Alps. However here, we stand in the valley surrounded by giant mountains reaching upwards of 8000 meters. 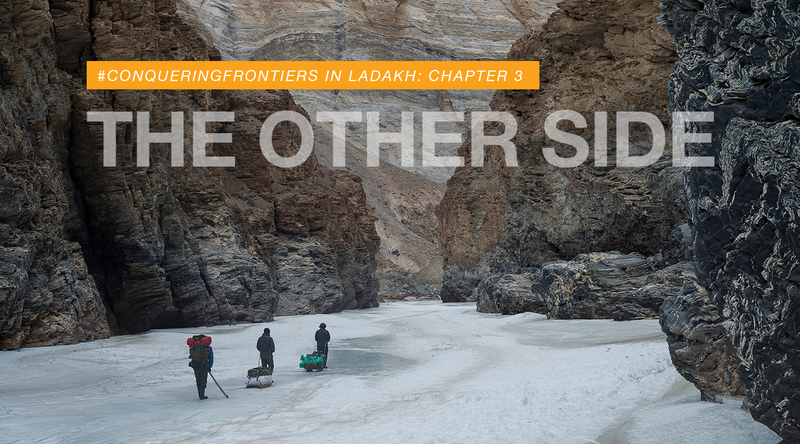 After a brief exchange, Lhakpel begins to guide us along the frozen path towards his hometown of Zanskar. Moving was slow and awkward, the ice offers little grip and we became victim to a number of falls. Each step had to be made with much caution. Lhakpel explained how the people of Zanskar would need to make this journey often throughout the winter. It was their only route to the outside world. 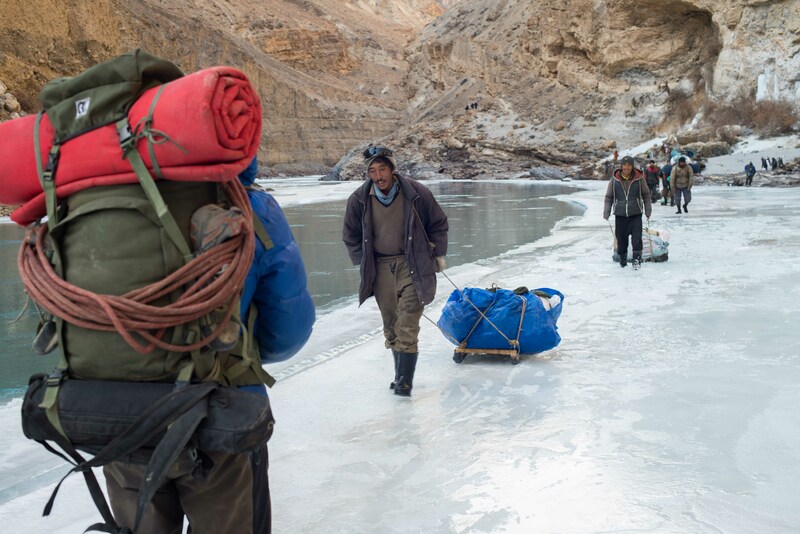 Leaving their homes, they would travel across the frozen ice to its end near Chilling, here they would be able to connect via motor transport to the capital city of Leh for trade and materials. An undertaking that would see them cover over 100km. Lhakpel recalled his anxieties and fear for the ice when he was a young boy. 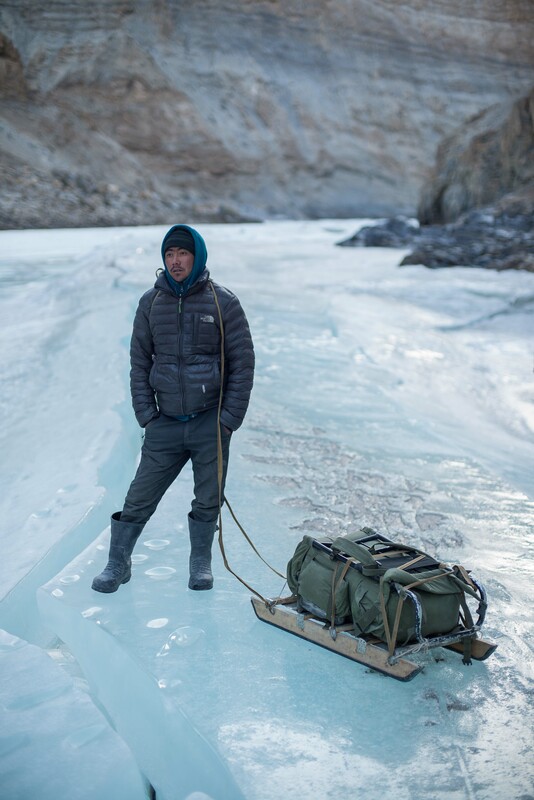 He told us ‘I had never stepped on the ice before’ making this long journey. As anyone could imagine, traveling across ice is fraught with dangers. There is a constant worry about falling through. This sharpens the focus to make sure each step is onto strong ice. However, the ultimate cold climate affects your decision-making abilities. This is isn’t helped by the inconsistent thickness of the ice. We felt one misjudged step would see us fall through the ice, soaked in freezing water and quickly facing the terrors of hypothermia. or worse still, maybe even flowing away with the gushing river. The immense frontiers here are entwined in the everyday lives of the Zanskar people. The story of Lhakpel shows how one person’s motivation, dedication, and courage can conquer even the most challenging paths to achieve one’s goals.